Listen, the Super Bowl (February 3, 2013) doesn’t even start until the evening which leaves plenty of time to gorge on chicken wings, vomit them back up, and then eat some more. It’s the 49ers against the Ravens, a game so boring that I almost fell asleep writing it, which is why I’ll be shredding that day. And that’s just to start. 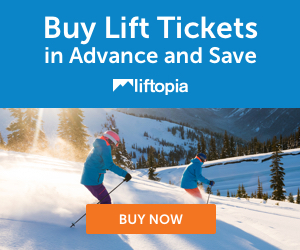 Click on over to Liftopia to check out dozens of Super Bowl steals on lift tickets.